Running is the perfect exercise to get started and to stay active. 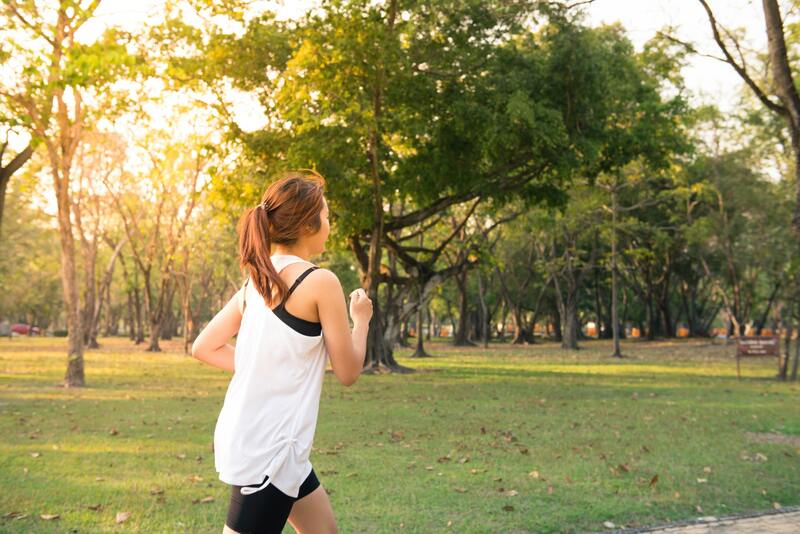 Running has the ability to change your entire lifestyle both physically and mentally in so many ways and here are 7 tips for getting started as a runner. Maybe you’ve been struggling to get active on your fitness goals or you’re already a weightlifting gym buff but need to increase your cardio activity and just haven’t had the time but now you want to be a runner? These tips are easy to start right now to propel you towards those goals in a meaningful way as well as keep you on track to achieving those running goals little by little. The first step in any plan is to get moving, and how you’ll want to start here is by getting out the door and walking. It’s day one and your sneakers are on and you have it in your head that a marathon is surely not far behind, but starting slowly by walking and just getting your body moving is how you’ll want to begin your running journey. More than 2,000 years ago, Hippocrates said, “Walking is a man’s best medicine.” Begin your journey by walking a lot so your body starts to get into the motion of moving around. As you get out there more, slowly begin to increase the length of time spent walking or the distance of your walks. A body in motion tends to stay in motion so aim for daily walks or as often as possible as this will aid in increasing your ability and stamina as well as help in the next tip – interval training. Interval training is following a specific regiment where you vary speeds and intensity throughout a shorter run/walk/jog/sprint. In a study done by ​The Journal of Sports Medicine and Physical Fitness​ in 2016, volunteers were split into two groups one that did HIIT (high-intensity interval training) for 8 weeks and one who did regular gym training. Researchers found that while both groups improved their physical fitness, “(interval) training was also found to be superior compared with conventional exercise training alone in terms of reducing more visceral adiposity levels”. HIIT can be used for varying types of exercise but can vastly improve your running ability as well. Getting started as a runner is not all about pounding the pavement as soon as your feet hit the ground, you need to treat your body with care from the very beginning of your journey if you plan to keep at it. This means warming up and cooling down after every run the right way! According to the ​Mayo Clinic​, warming up helps prepare your body for aerobic activity, and revs up your cardiovascular system by raising your body temperature and increasing blood flow to your muscles. Cooling down after your workout allows for a gradual recovery of pre-exercise heart rate and blood pressure. A warm up and cool down can simply mean starting & ending off your runs with a light and brisk walk for 5 minutes or getting into a stretching routine before and after. Music is food for the soul so it only makes sense that using it for exercise will improve your run. Have you ever been to a ZUMBA or Soul Cycle class, they are using music to aid in the workouts because it works! Music can really make or break a work out but using it can help you run longer and feel lighter as you do it. Create a playlist using your favorite music apps or find ones already curated for running, grab your headphones and get to it. Accountability is an important part of keeping fitness goals find out more in this ​goal setting recipe​, and tracking your running is no different. You want to make sure you can visualize how much progress you’re making in your running journey so using a running app or training log is helpful. Some examples of what you’ll want to write down or keep track of is; your distance, effort (running intensity), time per mile, total duration, where you ran (treadmill, track, road, park etc.). Many training apps will have these options for you to select but if you want to to keep a running log on paper just make sure to be consistent. Surrounding yourself with positive people, images, and affirmations can make getting up and off the couch an easier pill to swallow. Running with a partner is great because your run will seem much quicker when you’re talking with a friend. The odds of you getting out to start your run when you have a partner increases since someone will be waiting on you, you will have an accountability partner, fitness buddy, and friend who can lift you up when those days of lazy bones begin to creep in. Follow some fitness inspiration boards or groups on Instagram and Facebook to stay connected and inspired with like-minded running folks. Being a part of a community of runners will help you stay inspired to get out there and run and you’ll be able to build connections with people locally and far away – and who doesn’t love a new fitness friend! Your mind is now set to become a runner but what now? Now it is time to get in gear, and the most essential is your footwear. Gearing up the right way is not as simple as slapping on your old NIKE’S and running a 5k, you need to make sure your shoes are the right kind for running and to maintain good form. The best kind of running shoes are the ones that will be kind to your feet. Head to your local specialty running shoe store and let the professionals size and fit the right shoe to your foot, and give them a test run in the store. Making sure you have a good shoe with the right fit will aid in your overall muscle health, running form, offer arch support, aid in the prevention of injuries and can promote improved athletic performance. So while it might be nice to give your perfect cute running leggings a go your absolute must-have are good running shoes. Other running gear you might want to include: an armband for your phone, running pants, shorts or capris, headphones, t-shirt (tanks), socks, reflective lights (for night running), and running belt. Are you ready to start your run journey? 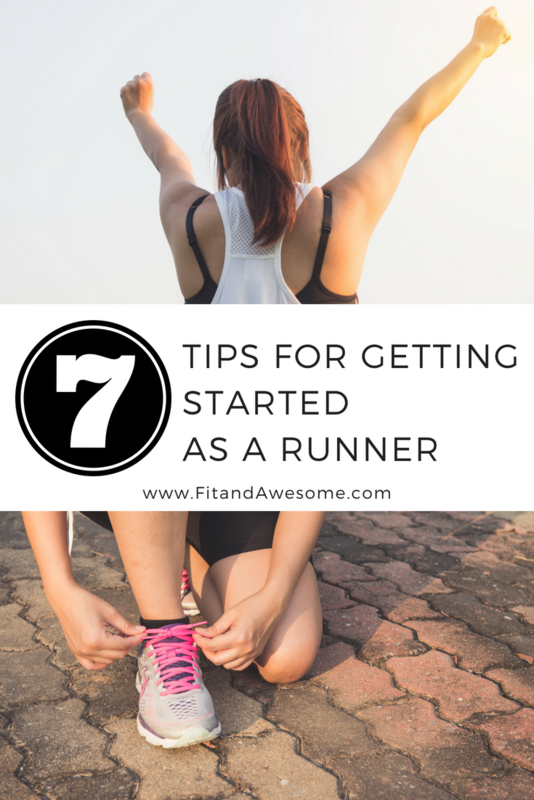 Leave a comment below if you have any other tips for newbie runners.